Language is said to be the key to understanding a culture—the medium by which the arts and ideas of a people have been passed down over generations. Many languages are dying in the modern world, and linguists strive to mine and save the cultural gems embedded therein. Some of these languages prove particularly precious for their rarity. “Linguistic isolates” are languages that have no connection to any known language. Some, such as Korean, are spoken by large swaths of people; some, such as Kusunda in the Himalayas, are currently spoken by only about 7-8 people; some, such as the Indus script, haven’t been spoken for thousands of years. Did these languages spring up on their own? Did they come from a remote ancestral tongue long lost from the annals of history? The undeciphered Indus script has long fascinated and frustrated linguists and archaeologists. Deciphering the symbols would unlock the language of an advanced civilization residing in the Indus Valley, what is now eastern Pakistan and northwest India, 4,000 years ago. This civilization was as advanced as those of the Egyptians and Mesopotamians of the time, and promises a similar wealth of anthropological treasures. Some contend that it isn’t a language at all, that the “script” is just a bunch of symbols like those found on modern traffic signs, for example. Others say it is an ancient form of Sanskrit or that it has roots similar to the Dravidian language family (related to languages spoken in South India today). The Egyptian hieroglyphs were deciphered with the help of the Rosetta Stone, a trilingual inscription that provided a point of comparison for the glyphs. No such aid has yet been discovered for the Indus script. Computer scientist Rajesh Rao of the University of Washington has used computer algorithms where human analysis has fallen short. He ran several languages through a computer program for it to analyze the patterns. Then, he ran passages of the Indus script through to detect any similar patterns. The computer couldn’t translate the language, but it provided a step in the right direction. It was able to identify potential parts of the spoken language by discerning patterns. For example, in English, there’s a certain frequency and pattern with which the word “and” appears in a passage of text. There are also other contexts in which certain words, such as place names, are likely to be repeated at certain intervals. “Even though we can’t read it, we can look at the patterns and get the underlying grammatical structure,” Rao told Wired magazine. 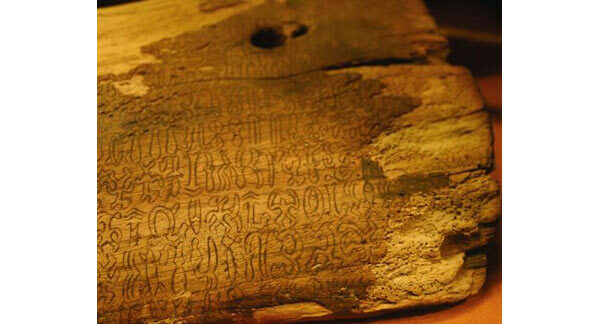 Glyphs written on wooden tablets found on Easter Island have stumped linguists. It seems the residents of Easter Island may have developed this form of writing only after first encountering Europeans in 1770. Though they may have gotten the idea of writing from the Spaniards, the form bears no resemblance to any known language. 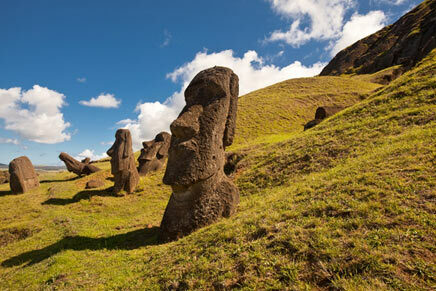 The indigenous people of Easter Island, the Rapanui, were asked by the Spaniards to sign written documents of annexation. Linguist Dr. Steven Roger Fischer, who studied the glyphs over the course of several years, said in a paper titled “Rongorongo: The Easter Island Scripts” that the Rapanui did not seem to have writing before this. The signatures on the Spanish documents seem to be imitations of the European writing rather than an existing indigenous script. In 1864, Easter Island’s first non-Rapanui resident, Joseph-Eugène Eyraud (1820–1868), was the first to have observed the rongorongo script. It was inscribed on wooden tablets in every home on the island, he said, each with a seemingly sacred significance. A couple years later, nearly all the tablets were gone, he said. Fischer explained that this may have been due to the decimation of the population through smallpoxs and raids to capture slaves. The language is thought to mix ideographs (in which symbols represent concepts) and a phonetic alphabet. Fischer has suggested that the boards contain creation chants, though some remain skeptical. 19th century Explorer Alexander von Humboldt is said to have found a parrot in Venezuela that echoed the words of its former owner—the last traces of a lost language. The parrot was in the possession of a tribe that had completely vanquished the opposing Ature tribe. With every member of the Ature tribe dead, the victors had taken many spoils, including the pet parrot. Humbolt recorded the words spoken by the parrot, the last traces of the Ature tribe, according to writer and journalist Mark Forsyth in his book “The Etymologicon.” A modern artist has trained parrots to speak the words recorded by Humboldt, perpetuating the strange role of parrots in preserving the language. The last speaker was thought to have died in 1985, until three speakers were discovered in 2004. Watters worked with these speakers to record all that he could of the dying language. He noted some interesting points of difference between Kusunda and all other languages of the region. The article ‘ The Mysterious Origins of Some Dead or Dying Languages’ was originally published on The Epoch Times and has been republished with permission. Featured image: Rongorongo glyphs. Image source . Hasn't anybody else noticed the similarities between Rongorongo and the strange script on one of the portraits of Gauguin's Tahitian wives? Linguistics is such a fascinating topic, and I enjoyed this post. I really wish time travel was possible so we could actually figure out the origins of language instead of simply speculating. Some now think that Basque may be related to or descended from Proto-Indo-European. strange no mention of Basque? Also there are some strange non-isolates. Like Estonian and Hungarian. Which are related, but not contiguous.